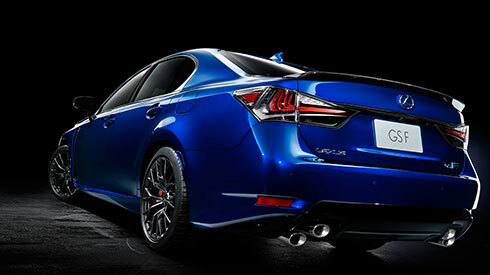 The GS F fuses leading-edge Lexus design with “F” DNA in a fresh expression of “F heritage and evolution”. An intense focus on creating a functional beauty worthy of a premium sports sedan shaped an exterior that enhances aerodynamics and cooling performance, informed the selection of materials including carbon fiber and aluminum, and integrates iconic “F” design elements. 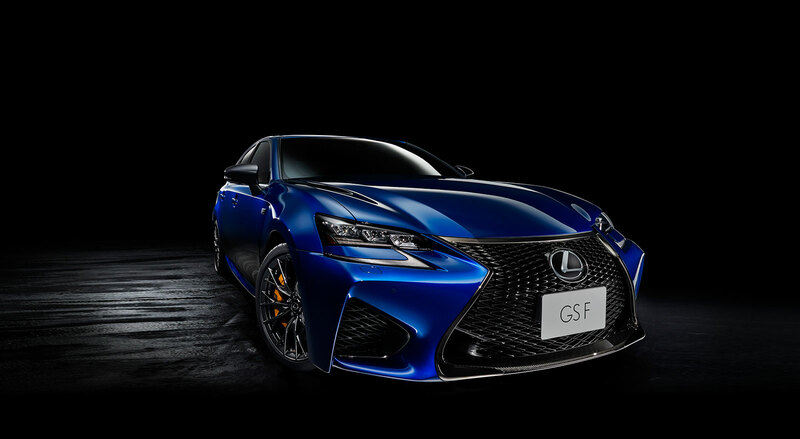 Front on, the GS F exudes a powerful presence. The F-shaped motif in the grille mesh, exclusive F jet black plating of the grille molding, and wide, low-center-gravity stance of the front styling express a deepening of the “F” story. From the side, the sharp top and bulging lines of the low-set front fenders hint at the V8 power. The use of CFRP (Carbon Fiber Reinforced Plastic) and glossy dark metallic paint on select exterior features, further accentuates the functional beauty of this premium sports sedan. The “F” spirit is embedded in a cockpit dedicated to the enjoyment of sporting performance. Each element of the interface between car and driver has been honed to support outstanding control and response, and ultimately driving pleasure. 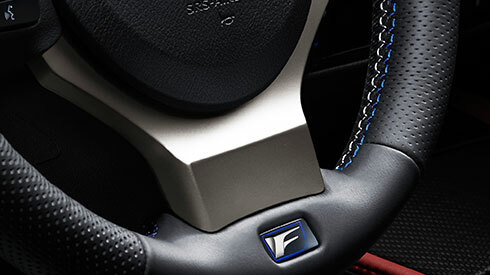 This focus is evident in the exclusive “F” design incorporated into the seats, meters, steering wheel and pedals. Slide into the high-back front sport seats, and the ‘integrated foaming’ structure optimizes the body support and holding performance required for sports driving. Throughout the cabin, the choice of materials and colors accentuates the “F” sporting ambience. It imbues the three-color stitching on the steering wheel and shift lever, decorative Lexus rivets that recall the LFA supercar, and “F” emblem embedded in the steering wheel and seat headrests.